Calling all creators, the APCO conference T-shirt design contest is now open! 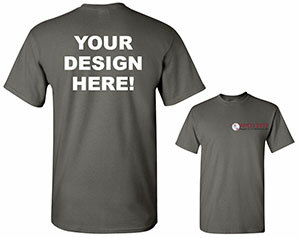 APCO is asking you to design our next conference shirt. 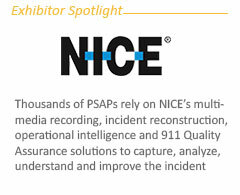 Create an original design that incorporates the essence of Baltimore, APCO International and emergency communications. Designs will be voted on and the winner’s artwork will be printed on the back of the next APCO conference shirt in Baltimore. The color of the conference shirt this year is charcoal (dark grey). The contest is open to all, however, APCO staff is not eligible to participate. Participation in the promotion/contest constitutes entrant’s full and unconditional agreement to and acceptance of these official rules. Be prepared to upload your design in the following format: PSD (Photoshop), AI (Adobe Illustrator), jpeg, eps or PDF. The winning design will be selected by APCO International and printed on the back of the official conference T-shirt. The color of the conference shirt this year is charcoal (dark grey). APCO reserves the right to use all designs for future marketing purposes. No reproduced images will be accepted. Your submission must be original artwork. There is no limit to the number of entries per entrant during the entry period. If your submission needs to be reproduced to ensure the highest quality of printing, we will do our best to recreate the most accurate design. You must complete the entire application. Entries will not be accepted if application is incomplete or sent separately from the online form. Top three finalist will be notified that their design has made it to the next round of online voting. Please do not call regarding the selection process. The winning design will be determined by the creativity of the design and how well it incorporates the essence of Baltimore, APCO International and emergency communications. A panel of judges will select the three finalists to move forward in the competition. Winner will be notified via phone call and email. One registration to either APCO 2019 in Baltimore or APCO 2020 in Orlando. 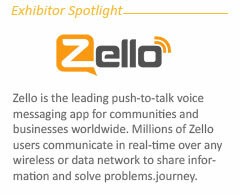 Recognition on the APCO 2019 website, emails and social media. The complimentary registration is non-transferable. If the selected winner is already registered for APCO 2019, the complimentary registration will then be deferred to APCO 2020. The submission form must be filled out completely and truthfully. If you fail to complete the form, give any false information or fail to reveal any pertinent information, you may be disqualified from the competition. All decisions are made by APCO International and are final. If winner cannot be contacted within two weeks of selection, prize may be forfeited. Enter "NA" if you are not affiliated with an agency or company. Accepted file types: psd, ai, jpg, eps, pdf. Acceptable file formats include PSD (Photoshop), AI (Adobe Illustrator), JPG, EPS or PDF. File must be smaller than 20MB and no larger than 12 x 14 inches. If you have questions regarding your submission, please contact the APCO Events Department at apcoevents@apcointl.org.